Today in this topics I am gonna tell you 8 mistakes that you should avoid becoming a perfect shooter. It’s is not easy as a beginner, but you can improve your shooting habit if you follow these tips. But, still, it totally depends up to you. I can’t assure you that if you follow my guides then you will become the best shooter in the world. Okay, let’s start. Targeting small objects instead of big ones is definitely more challenging. In order to become a perfect Shooter, you need to avoid few common mistakes. Shooting skill is all about more accuracy, consistency and gunner capabilities. Once you realize what problems have been committed so far, you will immediately start getting better results. In this guide, I will be talking about the 8 shooting mistakes and tips to become a better shooter. 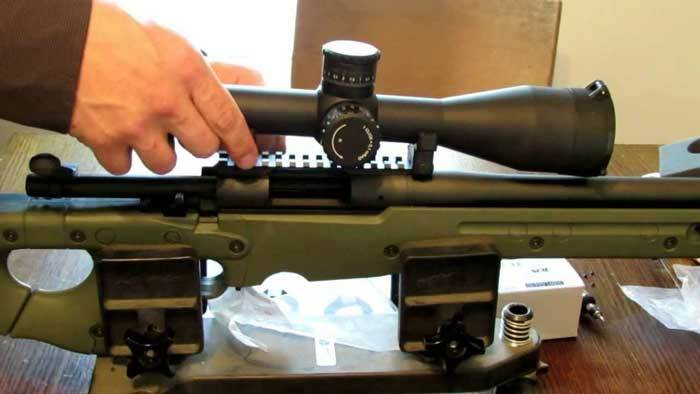 Do you already know how to mount a scope? If not, then you must know about it. You need to check out proper instructions and videos regarding it. You can read this guide to learn more about it. Begin with rings and quality bases. Also, focus on torque wrench for tightening up the screws and hitting the target better. Have you tried shooting in the early morning? Shooting in the early morning or bad condition is like working harder to achieve the same target which was automatically served on your plate earlier. Having a stable rest is definitely manageable at all. However, it needs a slight more attention to shoot moving target while holding the gun steadily. A bipod will act as the best option for a beginner. Expert always said that you have to pay attention to the trigger press instead of Trigger pull. You can check the above image to better understand. 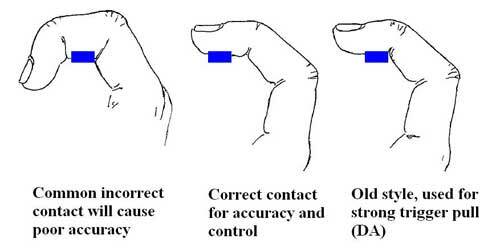 The image is all about how to pull the trigger on a pistol. You should Wait for the barrel to get cold. Shoot in the shade if possible and also carry a portable blower fan if the barrel becomes too hot. You should clean your gun barrel using a good cleaning kit and the best gun oil. You can easily find best gun oil on the market. Now, another important part is Focus area. If you do not pay attention to the major target, the end impact is definitely not going to give you mental satisfaction. Ammo selection is another important factor for shooting. Make sure that the gun matches with the ammo.